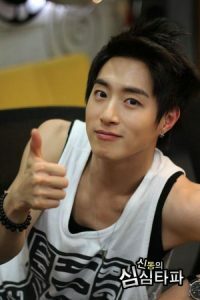 100%‘s leader, Minwoo, passed away on March 25 due to a cardiac arrest. The team at Seoulbeats offers their deepest condolences to his family, friends, loved ones and fans. Due to his panic disorder, Lee Joon has been transferred to reserve duty from active duty by orders of the Military Manpower Association, and will continue his duty as a public service worker. Former Nine Muses member Sera will apparently be starting her own agency, OCTO. She will also be continuing solo activities. SM Entertainment‘s rock group, Trax, will be changing their main genre to EDM. Additionally, they will be adding Ginjo to the group, who’s a DJ and producer. Check out our playlist above for a compilation of this week’s releases! Stray Kidz debuted with “District 9“, the title track of I Am NOT, and a follow up “Grow Up“. TVXQ hoped for “A Chance of Love” in their first album after returning from the army. Monsta X showed a little “Jealousy” in their new album, The Collect. Loona droped “Egoist” for final member Olivia Hye. Mamamoo serenaded sweetly in “Everyday“, a follow-up of Yellow Flower. Red Velvet‘s Joy exclaimed “OMG!” for her drama, Tempted. Hoya made his solo debut with “All Eyes on Me“. Samuel said he’s the “One” with BTOB‘s Ilhoon. Jessi and Flowsik teamed up for “All I Need“. Kisum and Heize said “It’s Okay” in a new music video. Nakta and Nine Muses‘ Kyungri collaborated for “Bom Bom“. Winner will be coming back with their 2nd album EVERYD4Y on April 4. Exo CBX will be returning with a mini-album on April 10. Eric Nam‘s mini-album, Honestly, will be released on April 11. Super Junior will be coming back with Replay, a repackage of Play, on April 12. The title track will be “Lo Siento”, a song of the Latin Pop genre. Vixx will be returning with their third album, Eau De Vixx, on April 17. Trax is planning for a comeback in April, though there is no confirmed date. Produce 101‘s Yoo Seonho will be making a solo debut sometime in April as well. CNBlue‘s Yonghwa will be releasing the first track of his five-song project, Feel The Five Y. The track is titled “Letter” and will be released in Japan on May 21. Dreamcatcher has postponed their album release from March to May in order to improve their album. The show that will replacing MBC‘s Infinite Challenge will be a music variety show, and is set for broadcast at the end of April. The hosts for the revamped version of Weekly Idol are confirmed to be Kim Shin-young, Yoo Se-yoon and Lee Sang-min. There is no broadcast date yet. Exo will be getting their own reality show, EXO Climb the Ladder, Travel the World. Lee Jong-suk will be joining YNK Entertainment after his contract with YG Entertainment expires on March 31. Agencies of Oh Yeon-seo and Kim Bum have confirmed that the couple are dating. BTS have been nominated for TIME Magazine’s 100 Most Influential People of 2018 List.